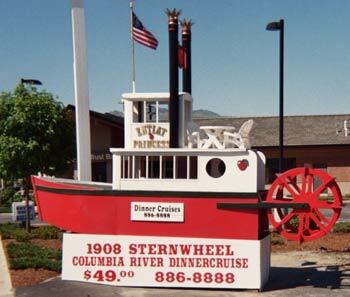 WASHINGTON STATE WELCOME -- One of many ways to enjoy the Northwest's waterways is a dinner cruise on this old sternwheeler near Wenatchee, Wash. The cruise takes passengers on the Columbia River. Want to beat the summer the heat? Head north to the waterways of the great Pacific Northwest. When temperatures in the Southwest have you seeking air conditioning instead of a boat launch, think about traveling to summer water fun in beautiful Washington State. Whether you are looking for salt- or fresh-water activities, with 4,721 square miles of the state covered in water and 3,026 miles of shoreline (including islands), there is something for everyone. Worried about our wet weather? As for the reputation of Washington s rainfall, don t believe the rumor that the people of Washington State have webbed feet. The western Olympic Peninsula region is wet, but the Puget Sound area (Seattle) has averaged only 76 inches of rain in July over the last 30 years. June s 30-year average is 1.5 inches and August, only 1.14 inches. Eastern Washington, with the glacier-carved path of the Columbia River and beautiful Lake Chelan, generally sees less than 9 inches precipitation a year, and that includes the water from our winter snow fall. The summer climate here varies greatly from west to east from cool, moist marine air along the western coastline to the warm desert temperatures of eastern Washington that average around 90 degrees during the hottest days of summer. Although temperatures anywhere in the state can hit 100 degrees, the nights are generally comfortable, cool, and perfect for enjoying an evening under the stars. With Washington s variety of lakes, rivers, and salt water for recreation combined with its beautiful summer weather it s no wonder that you can find the perfect spot for watersports of every type. What would interest you? Would you like to try cruising or sailing the San Juan Islands of Puget Sound? This trip is one of the most beautiful leisure cruises in the United States, with rugged islands covered in emerald vegetation and abundant sea life such as otters, sea lions, and Orca for viewing. Could we interest you in sportfishing in the waters of the Pacific, fly casting in glacier-fed mountain streams, or dropping your line in an inland lake for rainbow trout or bass? If you are among the more adventurous, there is white-water rafting in several rivers such as the White Salmon River, fed from mountain springs originating in the glaciers of majestic Mt. Adams. Choose your level of adventure from beginner to advanced, and Washington will have the perfect river-rafting place for you. Speaking of rivers, perhaps the premier river for watersports in the world is the mighty Columbia River, which travels 1,243 miles from its beginning in Canada to its joining with the Pacific. A series of 14 dams built to provide irrigation and hydro-power to the Northwest has created what, in essence, is a series of large reservoir lakes. These river-reservoir-lakes are a draw for water skiers and personal watercraft users from all over the Northwest. 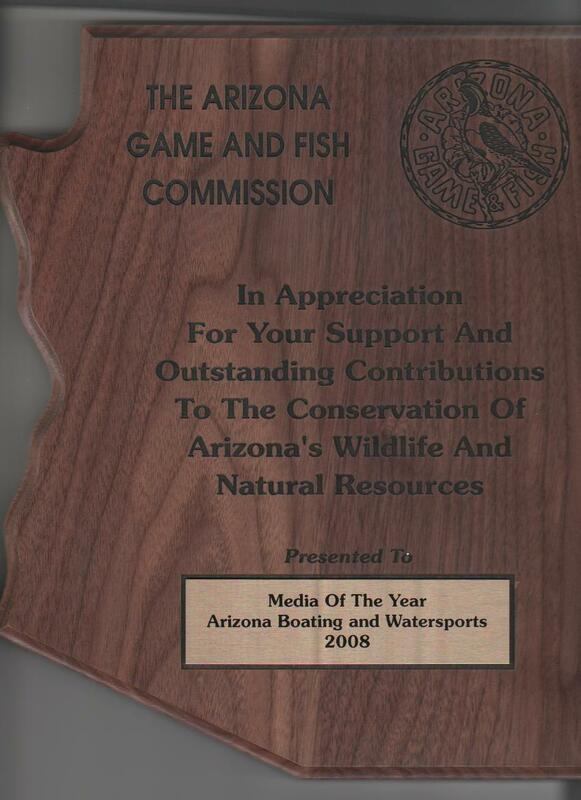 State parks and boat launches are plentiful, and with so much water-surface area, there is plenty of room for all. Have we found your interest yet? If not, we still have more from which to choose. How about windsurfing? Windsurfing is popular all around the state. Lake Wenatchee is high and surrounded by forested shore with cool wind sweeping off the nearby glacier. The water is cold, but with appropriate equipment (wet suits), the scenery and other conditions make this spot a favorite with Washington windsurfers. The ultimate locale for windsurfing, however, is the Columbia River Gorge. Warm, dry weather, spectacular basalt cliffs and wind "you can count on" have made this area a destination spot for world-class windsurfers. So, whether you chose to rent a yacht, tow your ski boat behind an RV, or tie your canoe to the top of your car we invite you to experience the watersports of Washington state. You won t be disappointed. For more information on what Washington state has to offer during your long, hot summers go to the web site www.experiencewashington.com You may be pleasantly surprised by your summer options up North! And, we ll see you in Arizona next fall; I ll be there with your flock of "Snowbirds"! 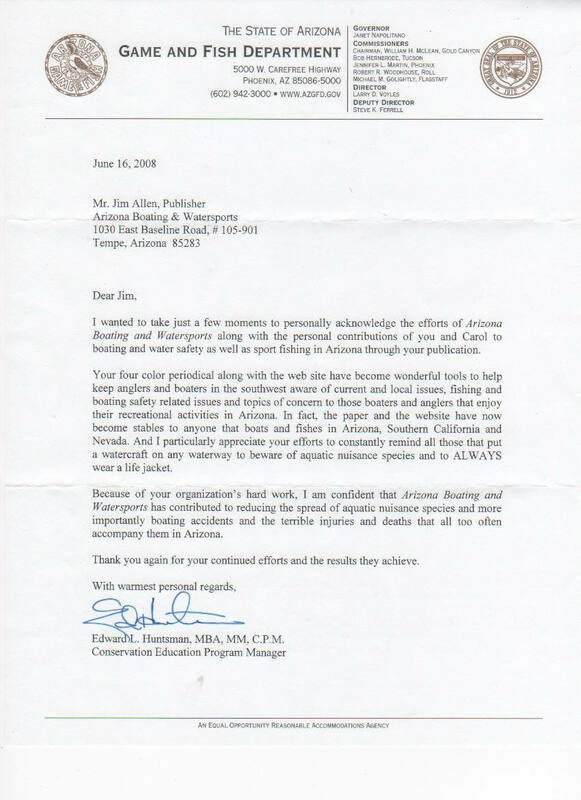 Editor s Note: AZBW welcomes its new writer Jane Lemon Mott. Mott is the daughter of my brother Don Lemon and his wife Dolores in other words, my niece. And, although I am now a Southwesterner myself, I do remember the beautiful Washington summers and learning to water ski behind my brother s boat on the Columbia River. Yes, "Those Were the Days"!